Status of the new experimental program to study hadron production in hadron-nucleus and nucleus-nucleus collisions at the CERN SPS will be presented. 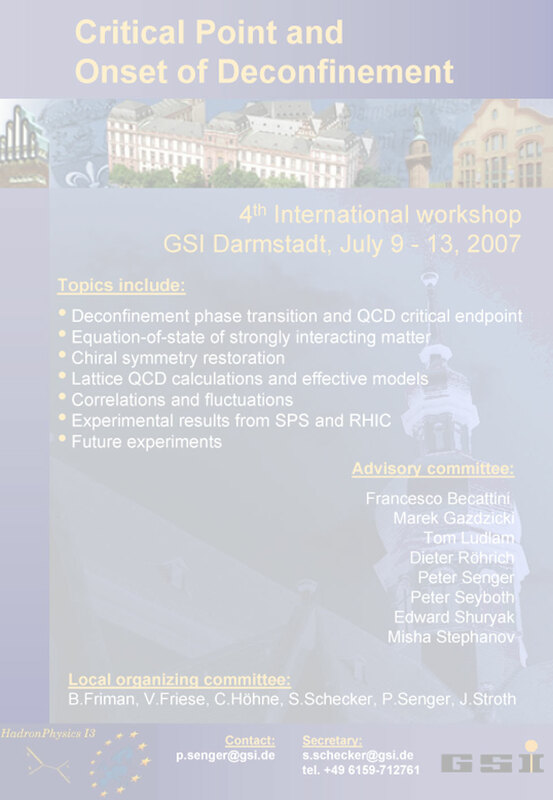 In particular, a detailed physics motivation and experimental strategy will be given for the part of the program related to the physics of strongly interacting matter: -search for the critical point of strongly interacting matter, -study properties of the onset of deconfinement and -high p_T measurements in p+p and p+A interactions. The planned measurements for the neutrino T2K and cosmic-ray experiments will also be discussed.